**THE SUNDAY TIMES TOP 10 BESTSELLER**'The night before Charlie was born I had this dream. I dreamt that I was a soldier, riding into battle ... completely naked, and on the back of a large, inflatable duck. 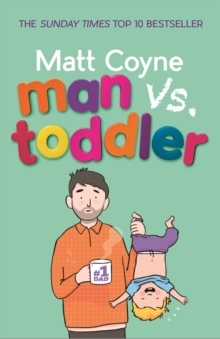 'Matt Coyne has become a hero for thousands of parents everywhere who are devoted followers of his popular blog, Man vs Baby. 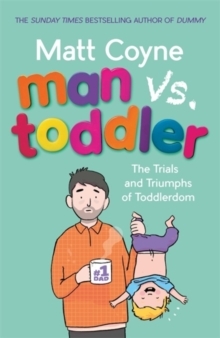 This is his book, and it is not your average parenting tome. It's packed with completely impractical advice for the bewildered new mum or dad - stuff you won't find anywhere else: from 'Profanity Bingo' for labour to a categorisation of various nappy disasters. But, more than that, it is the story of how becoming a parent is a kind of beautiful insanity - a thing that changes you. Above all, Dummy will keep you laughing through the exhaustion, the mystery and the madness of bringing up your own children. This is the parenting book for real people. 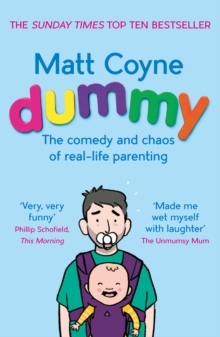 Raves for Matt Coyne and Dummy:'A hero for dads everywhere' Daily Mirror'Very, Very funny' Phillip Schofield, This Morning'Hilarious but accurate account of finding your feet as a parent.